First things first, you should pick seeds and transplants that will do well in your area. There are tons and tons of seed outlets online offering the common, the obscure and the useless. Do your best to match your crops’ preferences with the local climate and the types of soil media at your disposal. In other words, make decisions early on that will make your life easier later on. Browse our full catalog of organic and heirloom seeds here. Creating a basic sketch of the cultivation area(s) helps to visualize the space prior to planting. This is an easy method to design a space-efficient garden bed, properly space plants and estimate what you’ll need to grow through the year (fertilizers, amendments, beneficial nematodes, etc.). A piece of graph paper can be a gardener’s best friend. The grid pattern makes it easy to plot plantings and pair plants that offer benefits to one another. Examples of this include planting legumes (nitrogen fixers) nearby nitrogen-needy plants like cruciferous vegetables and using aromatic herbs to keep pests away from their favorite plants. 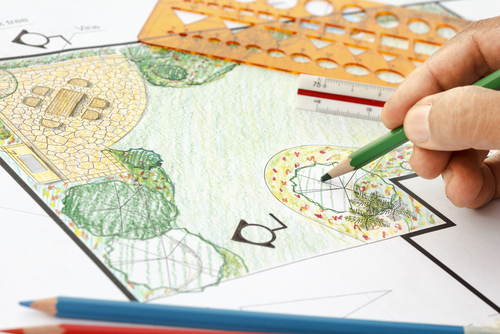 Try ARBICO's free Garden Journal to start planning your spring garden. The natural ingredients in organic fertilizers break down over time, freeing up additional nutritional content and making it available to your plants later in the season. This slow release nourishes the plants with what they need when they need it instead of giving them a drink from the firehose. Most of this breakdown also feeds naturally occurring (or introduced) microorganisms helping maintain soil structure and more closely resemble the natural soil biome. Often underestimated, sticky traps are a simple and pain-free way to monitor pests in the garden. Yellow traps attract the widest range of insects and are superb for establishing a baseline for ongoing control. They help us spot things early, reduce plant damage and plan for success moving forward in the season. Now that the traps are placed, get a notebook and make notes of what gets trapped and when. Pests or beneficials give us insights into what to expect and how to move forward. 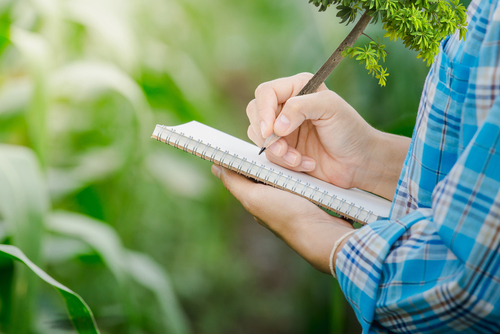 Keeping a log of information is one of the easiest things to improve our gardening efforts season on season. Found a bug, but don’t know what it is? Let us help you ID it! At the end of the day, gardening should be a fun experiment. You're not going to get it perfect the first time, but consistent improvement is remarkably achievable. Following the steps above should get your garden started on the right foot and move you closer to the eagerly awaited harvest. 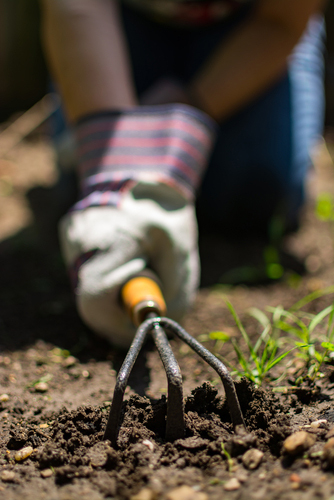 Gardening gives us a chance to grow with our plants, so let’s take advantage of this spring season for just that! Welcome To Better Things In 2019! So, we find ourselves at the beginning of 2019. Every New Year holds the promise of endless possibilities - some positive and some negative. This is a time that is rife with resolutions, when it seems every advertisement is about losing weight, staying fit or quitting smoking. While some people thrive under the structure of a resolution, for many others these self-imposed expectations and goals add stress to an already stressful world. How about changing the resolution process from a hard-edged commitment to a specific goal and just decide to do things better than you have previously? This is a thought process that is not limited to a particular objective, but rather can be used in nearly every part of life. In this way, you can free your mind from big, intimidating ambitions and make many small improvements that add up to a true achievements. Doing things better often means planning ahead. When you are prepared to meet a certain task or situation you not only greatly reduce stress in your life, you are more likely to be successful. 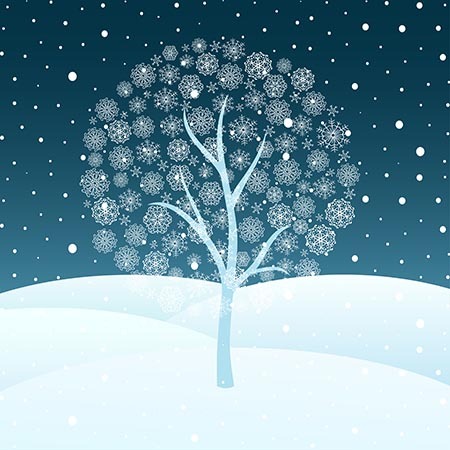 At this time of year, many people are largely house-bound due to weather. This is the perfect opportunity to begin making plans for the coming months and to consider new, more effective choices in what you do. • Take steps to become more environmentally aware: Instead of vowing to give up your gas guzzler (someday) or only eating locally sourced food (difficult to impossible in many areas), think about changing up products you use daily around your home. Put away the massively toxic bug sprays and try something kinder and gentler. We have a great many products that do the job without poisoning the whole home. They can be found here. Likewise, reconsider products that you put on your pets. We love our pets and want to keep them clean and free of blood-suckers, but in the process we can introduce harmful substances to them. Look here for less toxic alternatives. 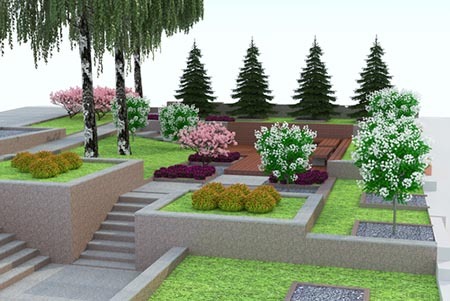 • Plan a better garden or landscape: Forgot about growing award-winning roses or having enough tomatoes for a year’s supply of marinara sauce and decide to have a healthier, more water-conscious garden or landscape instead. Take the time to plan your garden and prepare your soil before you plant and the results will be outstanding. Consider what went right and wrong in your last garden and adjust accordingly and always take into consideration the environment you are in when choosing what to plant. We have a downloadable Garden Journal that can help you begin the process and many seeds to peruse. Please note that we are still receiving our new seeds for 2019 and we will be featuring these in a blog and online when they are all in. A healthy soil is the basis for a better garden.We have many terrific soil amendments; but we will have some cool new ones this spring that we are excited to share with you. It this is an excellent time to try something new in your soil. • Plant a tree: Climate change and habitat destruction may be threatening the very air we breathe, but the whole picture can be overwhelming on a personal basis. By all means continue to support any and all organizations that are striving to support the rain forest and other natural resources, but also do your own small part by simply planting a tree (or two). Check here for some tips and products that can help. We will have a blog that digs deeper into the subject in the near future. 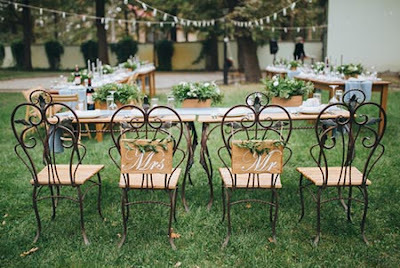 • Prepare for the onslaught of flies and mosquitoes: Are you planning an outdoor wedding this spring or summer? Don’t plan every detail, set a beautiful scene and then spray poison around it to keep insects away. Love your animals but feel beaten down by battling with flies? Be proactive in your pest control. You know warmer weather always means flying, biting pests, so prepare yourself. Take steps to stop them from breeding and you will have fewer adults (which are much harder to fight). We have extensive resources on fly and mosquito control. Study up on these, so you will know when to fire the first shot in the war on pests. We will also have some excellent new products in these areas in the next couple of months and will give you a head’s up when they are available. Here’s looking forward to a less stressful, more productive year full of lots of little victories!